Since January this year, Sundays have been arts and music camp days for the volunteers of Rock Ed. The musicians of Terno Recordings’ band, Radioactive Sago Project have been dutifully showing up to give classes in learning the guitar, the drums, the keyboards and to practice singing. Francis de Veyra (bass guitar, voice and keyboards), Juan Miguel Lerma (guitars) and Jay Gapasin (drums and percussions) are supported by a rotation of Rock Ed volunteers to provide staffwork and support. Since the natural inclination of Rock Ed is to expand and the natural direction of NOKIA is to connect, the arts camp has expanded its shape into providing even academic tutorials for the music scholars plus dance and theatre classes to augment their skills as performing artists. 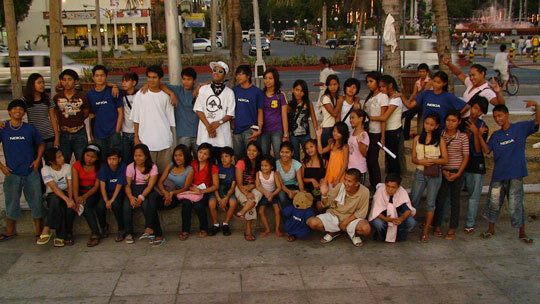 The group DAKILA has come in to provide the theatre component of this camp. Thus our very own Project:VIA (Volunteers in Artistry) –an activity that used to be a sporadic knowledge-sharing project – has transformed. Ever since NOKIA Philippines partnered with Rock Ed, it has become a regular and devoted music movement that is now housed under NOKIA ACTS. (Artists Coming Together to Serve). If you wish to support a scholar, we are open to donations. Not just of finances but of your time and knowledge. 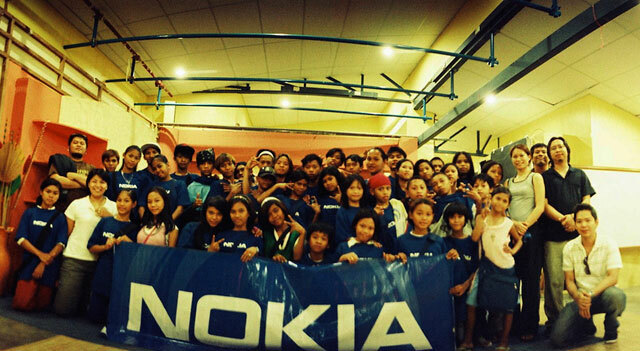 There are many ways to be part of the Rock Ed-Nokia ACTS music school. If you have a skill that you want to teach or share, (livelihood skill, the value of saving money, bracelet making, candle and soap making, arts and crafts, sculpture, dance, creative writing, collage making, speech and presentation skills) do come and join us on Sundays at the Jesuit Communications’ Multi-media facility called The Garage. (Seminary Drive, AdMU campus) Email: via@rockedphilippines.org or send donations payable to ROCK ED-NOKIA ACTS or deposit to BPI Loyola, Account #3080-0161-22. Sometimes all one needs in life is a skill set that becomes a passion and then that becomes a life decision. Music has been that for many of Rock Ed’s volunteer roster. Your help will support a project, that develops a music skill, that teaches the value of discipline, that eventually transforms a life.